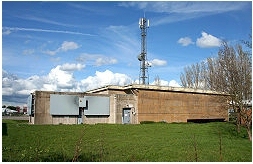 This HF WebSdr is located at the Nantwich Secret Nuclear Bunker, formerly R.A.F. Hack Green, now a working museum. Hack Green hangar sale:- Sunday 14th April 2019, doors open 10:00am, tea coffee and snacks available. 27th August 2018 - The Double sized G5RV antenna has been refitted with some super strong marine rope, hopefully it will last longer than the previous rope did. Thanks to Tony G1HMO, Martin G7CKX and Albert G4DHO for their hard work in getting this job done. The latest update to Chrome has prevented web pages from automatically playing media when the page loads, this prevents the HTML5 audio stream from working, you can try doing this it worked for me. The chat box has been removed because certain people just could not resist posting abuse and abusing other users.